If 2009 is going to be a year focused on winning the World Series, then the Cubs brass has to re-evaluate their bullpen now. What they have is a mess. I feared when they acquired Kevin Gregg that he would be relied on as the everyday closer. What I had hoped for is that his presence would push Carlos Marmol a bit to get him comfortable as the closer he has been groomed to become. But Marmol went away to the World Baseball Classic (how can something new be called a ‘classic’ anyway?) and Gregg had a good spring. So much to my surprise, Kevin Gregg was named closer and Marmol stays in the setup role. What I had known of Gregg prior to this year was limited to his numbers. I had never seen him pitch, and I didn’t know him as an elite closer because I never considered him for my Fantasy Baseball teams. But I believe in numbers and they don’t lie – Kevin Gregg is not, nor has even been an elite closer. And teams that want to win the World Series need to have elite pitching to close out games. So far I’ve tried to give Gregg a chance to prove himself. But he has only proven to me his numbers don’t lie. He puts too many guys on base, and he blows a lot of save opportunities. Of his 10 saves this year, he didn’t allow a baserunner in only two of them (May 6 & June 3). The guy is not automatic, he’s not a shut-down pitcher …he is not an elite closer. So what to do? With the team sale still incomplete, I assume adding any payroll through a trade isn’t going to happen. Plus no one is going to trade away an elite closer at this point in the season anyway. So Lou will have to look over what he has and shuffle things around. Seems to me Angel Guzman has been impressive enough to slide into a setup role and make Marmol the closer after all. 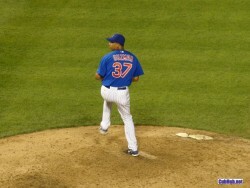 Maybe he and Marmol are too similar – righties that throw asprin – so they might not be such a good pairing. But what then to do with Gregg? 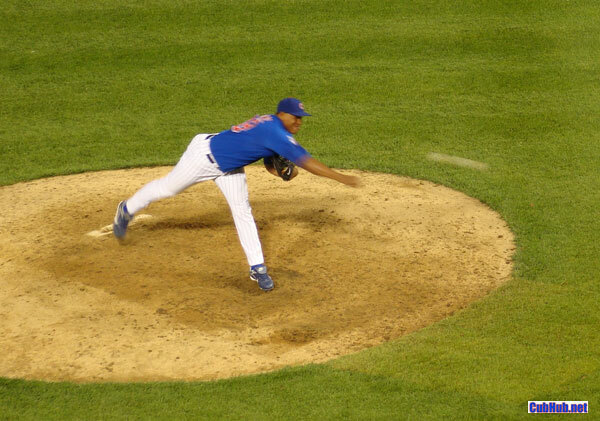 Do you just flip-flop Marmol to closer and Gregg to setup? That’s really no good because ofthen the setup guy comes in with men on base and Gregg has proven he can’t be trusted to get tough outs consistently. Man, this is a tough one. Maybe Lou mixes and matches with Guzman-Marmol-Gregg determining their roles each day based on who is fresh and who’s hot. I don’t know what the answer is, but one thing seems painfully obvious: Kevin Gregg is not an elite closer and that is what championship teams need.